No, Increasing CO2 isn’t going to trigger a hot world without clouds. | Watts Up With That? March 1st, 2019 by Roy W. Spencer, Ph. D.
I’ve received many more requests about the new disappearing-clouds study than the “gold standard proof of anthropogenic warming” study I addressed here, both of which appeared in Nature journals over the last several days. The widespread interest is partly because of the way the study is dramatized in the media. For example, check out this headline, “A World Without Clouds“, and the study’s forecast of 12 deg. C of global warming. The disappearing clouds study is based upon the modelling of marine stratocumulus clouds, whose existence substantially cools the Earth. These extensive but shallow cloud decks cover the subtropical ocean regions over the eastern ocean basins where upwelling cold water creates a strong boundary layer inversion. Marine stratocumulus clouds off the U.S. West Coast, which form in a water-chilled shallow layer of boundary layer air capped by warmer air aloft (NASA/GSFC). In other words, the cold water causes a thin marine boundary layer of chilled air up to a kilometer deep, that is capped by warmer air aloft. The resulting inversion layer (the boundary between cool air below and warm air aloft) inhibits convective mixing, and so water evaporated from the ocean accumulates in the boundary layer and clouds then develop at the base of the inversion. There are complex infrared radiative processes which also help maintain the cloud layer. The new modeling study describes how these cloud layers could dissipate if atmospheric CO2 concentrations get too high, thus causing a positive feedback loop on warming and greatly increasing future global temperatures, even beyond what the IPCC has predicted from global climate models. The marine stratocumulus cloud response to warming is not a new issue, as modelers have been debating for decades whether these clouds would increase or decrease with warming, thus either reducing or amplifying the small amount of direct radiative warming from increasing CO2. The new study uses a very high resolution model that “grows” the marine stratocumulus clouds. The IPCC’s climate models, in contrast, have much lower resolution and must parameterize the existence of the clouds based upon larger-scale model variables. These high resolution models have been around for many years, but this study tries to specifically address how increasing CO2 in the whole atmosphere changes this thin, but important, cloud layer. The main conclusion of the study is that when model CO2 concentrations reach 1200 ppm or so (which would take as little as another 100 years or so assuming worst-case energy use and population growth projections like RCP8.5), a substantial dissipation of these clouds occurs causing substantial additional global warming, with up to 12 deg. C of total global warming. All studies like this require assumptions. In my view, the problem is not with the high-resolution model of the clouds itself. Instead, it’s the assumed state of the large-scale environment in which the clouds are assumed to be embedded. Most importantly, it should be remembered that these clouds exist where cold water is upwelling from the deep ocean, where it has resided for centuries to millennia after initially being chilled to near-freezing in polar regions, and flowing in from higher latitudes. This cold water is continually feeding the stratocumulus zones, helping to maintain the strong temperature inversion at the top of the chilled marine boundary layer. Instead, their model has 1 meter thick slab ocean that rapidly responds to only whats going on with atmospheric greenhouse gases within the tiny (5 km) model domain. Such a shallow ocean layer would be ok (as they claim) IF the ocean portion of the model was a closed system… the shallow ocean only increases how rapidly the model responds… not its final equilibrium state. But given the continuous influx of cold water into these stratocumulus regions from below and from high latitudes in nature, it is far from a closed system. Second, the atmospheric environment in which the high-res cloud model is embedded is assumed to have similar characteristics to what climate models produce. This includes substantial increases in free-tropospheric water vapor, keeping constant relative humidity throughout the troposphere. In climate models, the enhanced infrared effects of this absolute increase in water vapor leads to a tropical “hot spot”, which observations, so far, fail to show. This is a second reason the study’s results are exaggerated. Part of the disappearing cloud effect in their model is from increased downwelling radiation from the free troposphere as CO2 increases and positive water vapor feedback in the global climate models increases downwelling IR even more. This reduces the rate of infrared cooling by the cloud tops, which is one process that normally maintains them. The model clouds then disappear, causing more sunlight to flood in and warm the isolated shallow slab ocean. But if the free troposphere above the cloud does not produce nearly as large an effect from increasing water vapor, the clouds will not show such a dramatic effect. The bottom line is that marine stratocumulus clouds exist because of the strong temperature inversion maintained by cold water from upwelling and transport from high latitudes. That chilled boundary layer air bumps up against warm free-tropospheric air (warmed, in turn, by subsidence forced by moist air ascent in precipitation systems possibly thousands of miles away). That inversion will likely be well-maintained in a warming world, thus maintaining the cloud deck, and not causing catastrophic global warming. March 2, 2019 in Clouds. I will not resist the temptation to cite the old Joanie Mitchell song, that climate models don’t know clouds at all. As Dr Spencer notes, these clouds are very affected by ocean upwelling of cold water, so models using one meter deep water with no external circulation give defective results. Damn it Tom! I wasn’t going to post this, and then you “triggered” me with your well targeted comment. A predetermined outcome, supported by little to no data, or supported by fake data, in a computer program so tortured until it finally caves in and cries, “Global Warming! Bad! Not good! Polar bears dead! That damm Bear …… It’s all Poo’s Fault !!!!!!! Detailed complex models of limited spatial coverage often run into those nasty boundary condition problems. Modelers often do not like to present how many difficulties those boundaries can cause. Can’t the modelers add a boundary layer flux of cold water from below? BTW – daughter in Bozeman, MT told me this am that they received 27″ snow in Feb w/ average of 4″ (current temp -3F). Similar stories across N America. Yes, they could. But then they wouldn’t get all this press plus a guarantee of future government funding. There was a naive phase in past centuries where responsible scientists pursuing knowledge and comprehension of the natural world, attempted to falsify any thesis created. But were’s the necessary and essential commitment to falsifying models which generate such absurd future predictions of the natural world, and are presented as a quasi-scientific ‘thesis’, when the model being used is clearly bunk, and does not represent the natural world with fidelity, at all? There’s just no such commitment to developing useful knowledge and comprehension, because tax-payer $$$ sugar is being doled out to corrupt ‘scientists’. But we’re expected to just continue to pretend (as we have for decades now) that profound corruption does not abound within science today when there’s so much evidence of it in papers. Muck like this research never should have gotten out of the researcher’s back-office broom closet, except an equally corrupting influence of ‘pop-science’ media/journalism fame seeking and ad-selling ensured it went out to a global audience any way. They mentioned about cooling from the top of the cloud so they didn’t even get the mechanism right in the first place. Indeed. And the protein-folders can achieve the same with their computer models, yet it brings them no nearer to the holy grail of making successful predictions without ‘cheating’. Like standing next to a campfire, hot on the fireside, cold on the back side and without the atmosphere’s 0.3 albedo (or clouds) earth gets hotter not colder. Without the atmosphere the earth will get 20% to 40% more kJ/h depending on its naked albedo. That means a solar wind 20 to 30 C hotter w/o an atmosphere not 33 C colder. The atmosphere/albedo is like that reflective panel behind a car’s windshield. As long as ‘climate models’ use CO2 to identity future temperature trends, they will be wrong. For the same reason earth would he warmer with no atmosphere, it would be warmer with no CO2 as well, since there would be no absorption by CO2, thus more energy on the surface. That, in turn, would increase the RATE of radiation, which would attempt to equilibrate as before, except with a higher energy absorption, there would have to be a warmer surface. To validate such ideas, one would have to go to the no-CO2 vs ALL CO2 vs NO ATMOSPHERE situations, and compare the expected results. Never was, never is, never will be. The specific heat of air is in direct opposition to the forcing by CO2. As you add more CO2 the mass and specific heat of CO2 require more energy to reach the same temperature. Anthony’s CO2 jar experiment demonstrated that. Until they change the specific heat of air it is all a crock. Perhaps part of the problem with climate science is that they are using meteorological science and trying to apply it to the big picture, which has lead to a downplay in the importance of convective/conductive processes in the structure of the atmosphere. Take this statement by Dr. Spencer for example, “The resulting inversion layer (the boundary between cool air below and warm air aloft) inhibits convective mixing”. That’s no doubt 100% accurate when applied to explaining the cloud layer and local meteorological phenomenon, but it doesn’t explain the big picture. The atmosphere above the cloud layer doesn’t quickly lose all of its kinetic energy and fall due to gravity because convection was cut off. Kinetic energy transfer within an open atmosphere does not only occur within convection zones and eddys, though this appears to be the only forces that climate science applies to their theory of atmospheres. it wasn’t until recently that they even considered friction from falling rain, but they still don’t have it quite right. Notice they don’t mention gravitational potential energy, and only refer to frictional heating and seem to ignore the kinetic energy transfer into the gases. You actually have it back to front. The climate models don’t use convection, they use “Radiative Forcing”. This combined with the fact that they model a flat Earth and a bunch of other problems, explains why that have never been right. No, they don’t model a flat earth. They take a discular cross section which is a correct model and turn it into a spherical average which is unealistic. Sphere of r has 4 times the area as a disc of r.
1,368 discular / 4 = 342 spherical ToA ISR * .7 = 240 ASR. They model the earth as evenly heated at a ToA spherical average. What I refer to as a ball suspended in and evenly heated by a bucket of warm poo. A correct energy balance is worked in kJ/h. W/m^2 is used to convert to temps w/ S-B. Another dumb than to do. NASA determined that objects in space maintain an average temperature of approximately 45°F with neutral albedo and a constant rotation at the distance of Earth’s orbit. 355 K lit side, 155 K dark side, 255 K average K, 200 C range. 260 K lit side, 250 K dark side, 255 K average, 10 C range. Exactly same average, entirely difference worlds. What the heck is a “neutral” albedo? I think it has something to do with glaciers in Switzerland. The exact details escape me at the moment. “ No greenhouse effect, no CO2 warming….” your understanding of infrared absorption and radiative heat transfer is incorrect. However, the usual meme of Earth being 33 C colder without the greenhouse effect is only correct if Earth’s albedo remains at the generally assumed 0.3, but without water vapour, there would be no 0.7 albedo clouds to cover half the sky. Thus without greenhouse gas water, albedo is lower, and Earth would be much warmer in the resulting extra sunny days. So you aren’t entirely wrong. So it is the albedo of clouds, not CO2, that directly controls the planet’s temperature. But the additional CO2 does cause a couple of watts more back radiation than does water vapour alone, overwhelmed by the hundreds of watts/sq.M of sunlight reflected back onto space by clouds. When you say there is no CO2 effect, you simply are labelled a “denier” instead of someone with a valid point of view. There is a greenhouse effect due to radiative gas behaviour. It is easily demonstrated. What is wrong with your analysis is you are comparing the current Earth with a planet that has no atmosphere. Why? How can you describe the influence of GHGs on the atmospheric temperature? That implies you should consider the planet with an atmosphere in two conditions: with and without GHG’s, not with and without an atmosphere. This same error is made by the IPCC which is why their documents refer to the supposed quantification of GHG influence based on the difference between a bare planet and one with an atmosphere that includes GHG. And then they claim to calculate the influence of the CO2. There is a GHG effect, but it has been incorrectly quantified. The atmosphere without GHG will be heated by the hot surface to a temperature much higher than the current 15 C.
Because that assumption, 288 K with – 255 K without = 33 C cooler, is the keystone of greenhouse theory. Refer to the Dutton/Brune Penn State METEO 300 chapter 7.2: These two professors quite clearly assume/state that the earth’s current 0.3 albedo would remain even if the atmosphere were gone or if the atmosphere were 100 % nitrogen, i.e. 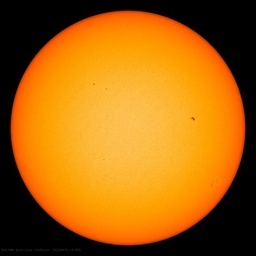 at an average 240 W/m^2 OLR and an average S-B temperature of 255 K.
NOAA says that without an atmosphere the earth would be a frozen ice-covered ball. That is just flat ridiculous^2. And the naked, barren, zero water w/o atmosphere earth would receive 23% to 43% more kJ/h of solar energy and as a result would be 19 to 33 C hotter not 33 C colder, a direct refutation of the greenhouse effect theory and most certainly NOT a near absolute zero frozen ball of ice. Don’t mix it up with Dr. Roy! Surely you also construct arguments that INCREASE such cloud cover if the global temperature increases and hence increases the temperature in the source region of the warm air in the upper level of the inversion. So the grant money would have been better used to give to chimpanzees to see if they start wearing suits and drive sports cars if you hand them a fist full of $100s. If you do the experiment in the right way, you CAN get chimpanzees to wear a suit and drive a sports car after giving them a fist full of $100s. That doesn’t prove the $100 bills caused the chimpanzees to drive, and it probably isn’t good for the sports car. In my view, the problem is not with the high-resolution model of the clouds itself. Instead, it’s the assumed state of the large-scale environment in which the clouds are assumed to be embedded. What an excellent example of GIGO. I am reminded of a favorite example. So many times we see basic errors in elementary science and bad assumptions that invalidate the whole paper. Of course, when you point that out to the authors, they dismiss it because it sounds too simple. That’s because pseudo intellectuals can’t differentiate between complexity and profundity. The ones in the middle will say “Well, we’ve made a little bit of progress, but we need to say something positive in order to keep the funding flowing for future work”. I agree; thank you very much Dr. Spencer. The fact that supposedly credentialed scientists/researchers/modelers can and do miss such fundamental issues is appalling, Rud. When living on the CA coast, even I knew about upwelling cool water and its effects on the cloud layer. To model a climatological feature and ignore its genesis is scientific malfeasance, if not outright fraud. Who the hell do they have reviewing scientific paper submissions? Who the hell do they have editing that rag Nature? It seems to be nothing but ideology all the way down over there. Why is it unpaid researchers and citizen scientists must continuously uncover such scientific malfeasance? What is it about CliSci that allows its practitioners to turn a blind eye to obviously flawed papers? Also, what is it about CliSci that allows its practitioners to turn a blind eye to obvious political misuse of its work? Not only the above, but what is it about CliSci that encourages its practitioners to actively hound people personally and professionally for the sin of questioning the scientific basis of obviously flawed or otherwise questionable positions/papers? To me, Michael Mann is the ugly public face of the dysfunctional CliSci. Additionally, I do consider Mann to have both an ugly personality and an ugly physiognomy. So sue me. Maybe in their next paper they will include some of the ocean dynamics. Except that would probably invalidate their present conclusions. wouldn’t the atmosphere and ocean temp increase in sync? a hot world without clouds. That won’t be Venus, then. Do these people ever bother to think anything through? No. They use a state-of-the-art supercomputer simulation which cannot actually model clouds, and uses an average cloudiness fudge factor in each grid cell. The fact remains that it is currently impossible to simulate the ever-changing structure of clouds in a completely realistic way. Must be another 97% confidence thing. Funny, I keep reading about disappearing clouds, and yet each time I look to the sky clouds are all over the place. Guess I ain’t a lookin’ hard ‘nough! This ranks up there with the lament that we are cutting down all the trees. I travel across 1/2 the US a couple times a year. From I 79 in western PA to I 95 in NYC we drive through vast tracts of forest. From I 79 west and south to I 10, again, we drive through vast tracts of forest. Even within the metro areas we pass through there are trees everywhere. People read or see on “news” that the clouds are disappearing or all the trees are disappearing, then they go outside and see clouds and trees all over the place and those spreading these Chicken Little fantasies wonder why everyone calls them fake news and fake science. A those are just the trees you can see from the road. Vast forests exist that can’t be seen from the road. Many sections of I 80 through PA you can see forest for miles and whole valley systems covered by farms and cattle, same with I 70, I 65 and I 59 heading west and south. People who don’t travel much really don’t get how much of America is covered in forest, and seeing it from 30,000 does not really bring it home. And don’t even get me started on the vast expanses of corn, wheat, soybeans, millet, hay and timothy and clover you pass on US interstate highways! 😉 America is green already, don’t need any GND from Congress. On a positive note, solar panels would become more reliable. In any case, the projection that CO2 would be 1200 ppm in 100 years is ludicrous. If CO² hit 1200 ppm we would be in a cycle of rain, sun, plant growth ending with record harvest and green deserts. The current trend would get the ppm to near 612. Now it is about 412. They need, starting now, about 4X the current trend (2) to get to 1200 in 100 years. Will it get to 8 ppm? In 2019? What year then? If the increase starts later than 2019, it will have to ramp up much more later. For each of the next 100 years, place your bets. Cold Mississippi River flood waters produce a lot of fog. Modelers should have to find their way out of a fog bank. Good training. Take your carbon dioxide meter. The Oceans are only a meter deep! No wonder they had to adjust the ARGO data……. The global warming scare rests on assumptions, built from assumptions. And it is assumptions all the way down. Edward Lorenz would immediately recognize the animation as “fracticality” and possibly a multifractal system. He, and others well-versed in Chaos Theory and its practical aspects, would not be surprised to see such a system, based on non-linear functions suddenly change to a totally different pattern — including the total lack of clouds. This does not mean that the real world system would ever undergo such a transformation — it is an artifact of chaos in numerical modelling of non-linear systems. There is a very simple example, May Island Squirrel Population, in my essay “Chaos & Climate – Part 2: Chaos = Stability“. In that illustration, it is the GREEN trace that exhibits the behavior of wildly shifting, then drops to ZERO (only in numerical processing, however — in real life populations, the population almost always drops very low, but then can slowly recover — in some cases though, extinction of the local population can occur). Nothing like hearing a sound explanation from an expert to put this paper to rest. Once the assumptions that the model starts with are explained, the results are equally ludicrous. So at what point does CO2 increase in the air begin to decrease in cloud cover? Does it only start at 1200 ppm? The obvious data to look at to verify a significant change in cloud cover is Earth’s albedo. Unfortunately, different measring techniques give wildly different results, some showing increased albedo, some decreased. Perhaps some of the vast sums spent on modeling should be shunted towards real data gathering and techniques. It seems reasonable to model weather and climates in attempt to better understand our world. But we know the system is so complex that it is likely we will never be able to understand it completely. And to base our policies that are so radical on modeling that is so questionable is foolish. Period. Because the system is so complex, modeling has proven to be inadequate. Efforts should go to measurement and observation instead. Only models project doom. Observations reveal only improvement. Can’t sell fear without the fear. That was then, and pertained to QED, but applies to climate scientology now, as well. Now “the science is settled” and all dissenters must be tried under the RICO act and either jailed or culled. When the world discovers that the climate scientologists have been dragging them down the wrong path for *decades*, right at the time that the world has started to cool at the fastest rate in recorded history; when people discover that their store shelves are bare and their furnaces won’t light because the eco-whackos had the world preparing for warming and thus limited agriculture and fossil fuel extraction by fiat, right at the time when cold-weather crop losses were increasing and heat was needed in many places just to stay alive; when people discover that they’ve been forced to waste money on a destructive-to-life fairy tale meant only to empower socialist totalitarians who want to import third-world illegal immigrants across their open borders so the totalitarians get more votes (a calculated and devious grab at the levers of power while subverting the democratic process)… heads will roll. We see the beginnings of this in November 2018 in France’s Yellow Vest movement, which spread to Australia, Belgium, Bulgaria, Canada, Croatia, Egypt, Finland, Germany, Iraq, Ireland, Israel, Italy, Latvia, Netherlands, Pakistan, Poland, Portugal, Russia, Serbia, Taiwan, Tunisia, the UK and Spain. When the socialist totalitarians unveil their next egregious assault upon humanity and the people rise up in protest, this process will expand successively with each new assault. Of course, the totalitarians, being totalitarians, will respond with increasingly-deadly force, as we’ve seen in some of the protests already. The only way we can attain any peace is to dispense with the socialist totalitarians once and for all. Whether that be via the democratic process or via extra-democratic means remains to be seen, but eventually this will take place. We didn’t fight two world wars, shed blood, forfeit lives and waste treasure fighting their type, only to roll over and let them now take over the world. They will lose, as they always do, because they seek to subjugate all of humanity to their whim. Humanity will die fighting for their freedom, if need be. And there are more of us than there are of them, so in a war of attrition (as this sort of thing generally becomes), we will eventually prevail. I find it interesting that the same people who think lower taxes = budget failure also think higher CO2 = climate failure. They seem unable to realize the multiple factors involved in complex systems are always interdependent in some way. “All else being equal…” never exists. The UK Met office historical records show that from about 1985 the UK average temperatures started to increase in parallel with hours of sunshine. If the hours of sunshine have increased this could be caused by reduced cloud cover. that’s exactly what I thought as well! in fact, more CO2 is cooling the world, rather than warming.. Your above comment is not correct. This is an important option/issue to at least summarize and discuss, as it is a fact that there is no solution to CAGW and well-meaning, organized people are proceeding to destroying our economies to fight CAGW with a solution that does not work. It is a scandal that there are multiple peer reviewed papers, multiple authors (Atomic Bomb produced C14 resident time analysis, C13 change analysis, mass balance analysis human emission vs atmospheric CO2 change, transient analysis, phase analysis, and so on) that have all shown that human burning of deep earth hydrocarbons caused less than 5% of the recent rise in atmospheric CO2. It is a fact that in the last 40 years atmospheric CO2 levels have tracked planetary temperature changes and have not tracked anthropogenic CO2 emission changes. The following is an excellent summary of the history of CO2 atmospheric measurements and adjustments and a critique of the so called ‘Bern model’ of CO2 sinks and sources and resident times. Comment: The called ‘Bern model’ was specifically created at the university of Bern by a few guys, to support the paradigm of CAGW. Obviously if the resident time of CO2 in the atmosphere is less than 5 years, rather than the Bern model resident time of greater than 100 years and 25% staying in the atmosphere forever, there is no CAGW or AGW crisis. We can burn hydrocarbons without worry and move on to trying to understand what causes planetary temperature change. In the tropics, there are less clouds in the “winter” when it is relatively cool and dry and more clouds in “summer” when it is relatively hot and humid. This contradicts the model. Why? The model appears defective in that it did not consider a decrease in one type of cloud might result in an increase in another type of cloud. in the tropics, as it gets hotter, the low lying clouds are replaced by towering thunderstorms, which if anything provide even greater cooling of the surface, not less. There are enormous swathes of tropical ocean that do not have cold surface currents. They are not cloudless. Every day the sun heats the surface of the ocean. Warm moist air rises. As it rises it cools and water vapor condenses into water droplets releasing more energy. This process creates cumulus clouds. The clouds yield thunderstorms that Willis Eschenbach has identified as the principal thermal regulatory mechanism of the planet. The following are a couple of papers that support the assertion made above that the recent changes in atmospheric CO2 were caused by the increase in planetary temperature, not by anthropogenic CO2 emissions. Salby’s and the analysis below show there must be a large input of CO2 into the atmosphere besides the CO2 in volcanic eruptions which is the single assumed source of CO2 for the Bern model. This is Salby’s most recent video. What makes this subject (what is the new source of CO2 into the atmosphere that almost everyone missed) interesting and fun for a general audience is it possible using recent and past geological observations, which have been summarized by others, that are in a picture form to prove to any person using physical logic what/were the missing source of CO2 and H20 is. The yearly increases of atmospheric CO2 concentrations have been nearly two orders of magnitude greater than the change to seasonal variation which implies that the fossil fuel derived CO2 is almost totally absorbed locally in the year that it is emitted. A time comparison of the SIO measurements of CO2 at Mauna Loa with the South Pole shows a lack of time delay for CO2 variations between the hemispheres that suggests a global or equatorial source of increasing CO2. The time comparison of 13C measurements suggest the Southern Hemisphere is the source. This does not favour the fossil fuel emissions of the Northern Hemisphere being responsible for their observed increases. All three approaches suggest that the increase of CO2 in the atmosphere may not be from the CO2 derived from fossil fuels. The 13C data is the most striking result and the other two approaches simply support the conclusion of the first approach. Summing up, our analysis suggests that changes in atmospheric CO2 appear to occur largely independently of changes in anthropogene emissions. A similar conclusion was reached by Bacastow (1976), suggesting a coupling between atmospheric CO2 and the Southern Oscillation. , by this we have not demonstrated that CO2 released by burning fossil fuels is without influence on the amount of atmospheric CO2, but merely that the effect is small compared to the effect of other processes. Our previous analyses suggest that such other more important effects are related to temperature, and with ocean surface temperature near or south of the Equator pointing itself out as being of special importance for changes in the global amount of atmospheric CO2. Thanks for the links William. Useful information. It appears to me that they are expecting the oceanic currents to shut down (they won’t-too much mass involved). The reason for the upwelling which causes the cool air which in turn causes the stratocumulus clouds is Coriolis force acting on the southward moving California Current to drag water away from the coast and thus causing upwelling. I wrote above that Average UK sun hours mirror the temperature rise. To me this is highly significant because it means solar radiation over a longer period. Less cloud. Can someone give me a sensible response? We see something like this during the winter in our broad mountain valley. As the sun sets on a snow and ice-covered surface the temperature begins to plummet. However, quite often there is a thin veil of clouds which develop at the interface between the cold surface air and warmer air above. Keeps us maybe 10F warmer at night than would prevail under a clear night sky. As we all know, global warming is the cause of everything. I soon expect to see a modeling study showing a significant negative cloud feedback causing dangerous ice age conditions. Because Nature just is not coming to their party, the Warmistas are having to work the Models overtime and put them on steroids to come up with the necessary scary scenarios to control the population to the party line. Isn’t this just a polite way of saying that the model was rigged to produce the results they wanted? Since a computer simply executes whatever instructions it is programmed to implement, how can a mere analysis of results from a computer model fairly qualify as a “study?” I’m fine with using a computer to flesh out a hypothesis. I’m not fine with pretending that the results tell you anything you didn’t already know about the behavior of the system the computer emulates. Second, if as the post suggests, a constant supply of cold water is being fed to the surface of specific parts of the ocean while the upper atmosphere slowly warms over time, would this not be expected to strengthen the inversion as the atmosphere warms (air above gradually getting warmer while temperature at the surface being held approximately constant by upwelling cold water)? If so, this should be a negative feedback effect instead of the positive feedback hypothesized by the model. Personal observation along Highway 101 looking south along the coast, a northwest wind would drive surface ocean water offshore, to be replaced by deep cold ocean water. A boundary condition with warm land temperature would result in dense fog and chilly temperature to the right of the highway and clear blue sky and warm temperature to the left. Most importantly, it should be remembered that these clouds exist where cold water is upwelling from the deep ocean, where it has resided for centuries to millennia after initially being chilled to near-freezing in polar regions, and flowing in from higher latitudes. This cold water is continually feeding the stratocumulus zones, helping to maintain the strong temperature inversion at the top of the chilled marine boundary layer. Satellite and sunshine hours recorded over the world, had detected the global decrease in cloud albedo that occurred since at least the 1980’s. This similar mechanism was very likely the main reason why this cloud albedo decline was associated with the AMO because the North Atlantic ocean and sister ocean/seas had become warmer decreasing stratocumulus zones. The result was warming ocean from the sun during this period because of more sunlight reaching the ocean surface. There is more ocean upwelling associated with the persistent negative AMO then compared with persistent positive AMO phase. This explains with the ENSO most of the global warming seen so far with the ocean current from the North Atlantic moving until it sinks near the polar ocean. So according to he IPCC the clouds are likely net positive, but now less clouds will make it more net positive? Nevertheless, I would like to point at the well-known fact of the necessarily stable energy balance of systems “planet” – see “Planet systems” Venus, Jupiter, Saturn. – properly functioning solar systems WITH planets simply wouldn’t EXIST ! Are you pushing Nikolov-Zeller hypotheses Johann? That should be “thoroughly discredited”, not “well-known”. There is no heating from pressure. The atmosphere would need to be continuously doing work to be a source of heating. The atmosphere obeys the ideal gas law PV=nRT to the extent that any real gas does. Just as in a gas cylinder, where temperature is free to vary independently based on ambient conditions rather than being determined by the pressure, in the atmosphere, temperature is the independent variable which varies based on the amount of energy coming from the sun. Insolation is the only significant source of heating. Temperature determines the volume V and ultimately also the number of moles of gas, n. Pressure P is determined by the mass of the atmosphere (set by n and molecular weights of the constituents) and the surface area. R is the universal gas constant. In a static, steady state condition, gas under pressure is not doing work and there is no heat being generated. Can they get their story straight? Before it was clouds didn’t exist before the Industrial Age because paintings from the Renaissance didn’t show clouds. Now it’s we won’t have clouds because it’s warmer. But wait there’s more, we’re supposed to have more rain on a warmer planet. So I guess there is such a thing as moisture just randomly condensing out of the air and raining spontaneously.